“My 13 year-old son, Carlos James, has reactive attachment disorder,” reported an anxious mother to start the first interview. “He was adopted from Columbia. He never felt bonded to me. He always seemed to keep a distance from me.” As she said this, her husband sat quietly at the far end of the couch shifting his jaw in a gesture of doubt. 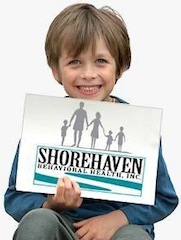 This entry was posted in Therapy Gems and tagged abuse, anxiety, assess, attachment, depression, diagnose, diagnosis, event, post-traumatic stress disorder, PTSD, repress, symptom, therapy, trauma, treatment on November 6, 2012 by Shorehaven Behavioral Health.